During this time of year, many homeschooling families are looking for the best curriculum for every subject. Don’t forget to look at Art! Art is so much more than just coloring and cutting and pasting! Our favorite art curriculum for kids was an easy choice. 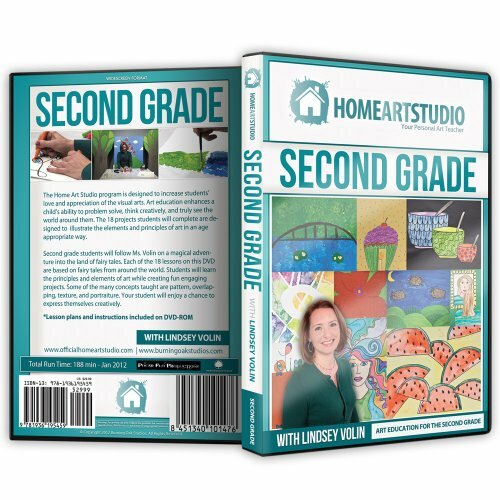 We love Home Art Studio and how this curriculum works. And don’t forget that we have an amazingly HUGE giveaway for you to enjoy this curriculum at home! Yay! Let me tell you why we love this Art curriculum so much. First off, all of the material is divided by grade and ability/developmental level. This makes it easy for me to know what kinds of projects we can make without it being way over my children’s heads. There is a lot of variety. In one DVD, we use different techniques, different mediums and different materials. I also love that the DVD is divided into the lesson videos for each project and also into a PDF file where each lesson is written out, step by step and pictures are included. So, if there is a time where the DVD player isn’t available or we didn’t have a chance to finish the project, instead of watching the video again, we can simply consult the notes. It is so handy! I keep mine in a binder by our DVDs, so I just grab it when we are going to do a lesson/project. Let me show you two of the many projects that we have made using Home Art Studio DVDs. 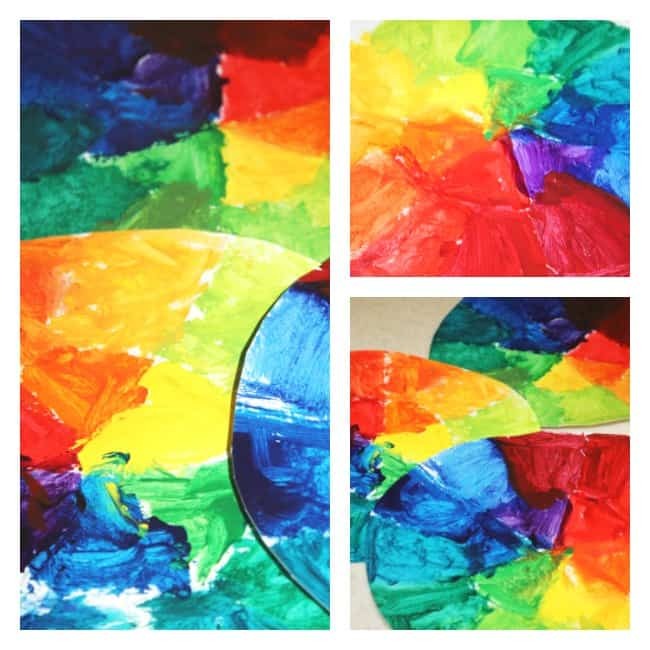 The first project we will share is a color wheel that concentrates on teaching about as well as differentiating in a very practical ways, the primary, secondary and the tertiary colors. And remember, there is a list of the materials you will need and the DVD does an amazing tutorial to explain this really well. Our little neighbor came over and so we invited him to join in our lesson. We all had a wonderful time making our primary, secondary and tertiary color wheels. They turned out so well! The lesson was easy to follow and the pre-lesson prep was minimal (another bonus for using this curriculum). What do you think? Are they beautiful? I love the burst of coordinated colors! Learning is fun with Home Art Studio. Here is another lesson that we have made. The reason why I really wanted to share it is because it was an amazing discovery for us. We had never used watercolor pencils before, so making this project was amazing to us! My daughter is the little artist in our family and she said that watercolor pencils are like magic and they are her new favorite art tool. I love how my children are so attentive to the instructions. They are so excited to know that they will be doing it next. But I also love how each of my children make the project their own and they make just enough changes in it for their personalities to shine through. Our watercolor Asian landscapes turned out amazing. We were all fascinated at the softening effect that the watercolor pencils gave our art. Now you can see why Home Art Studio is our favorite art curriculum for kids, right? Why don’t you give it a try? There are free lessons and videos on their website so you can see how wonderful they are! Thank you for visiting Our Favorite Art Curriculum for Kids post! And now, for the HUGE GIVEAWAY! Update: Ended! 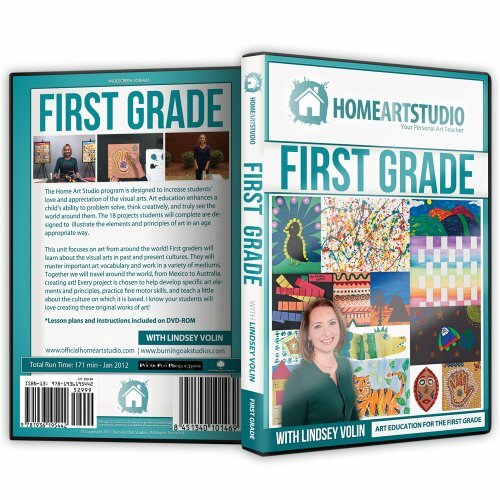 One (1) winner will receive the entire Home Art Studio set, Grades K-5, a $180 value! This giveaway is open to U.S. residents only. Void where prohibited by law. Must be at least 18 years of age. This giveaway is in no away associated with Twitter, Facebook, or Pinterest. No purchase necessary for entry. Odds are determined by the number of entries. Selected winner will have 48 hours to respond to email notification to claim their prize or another winner will be drawn. 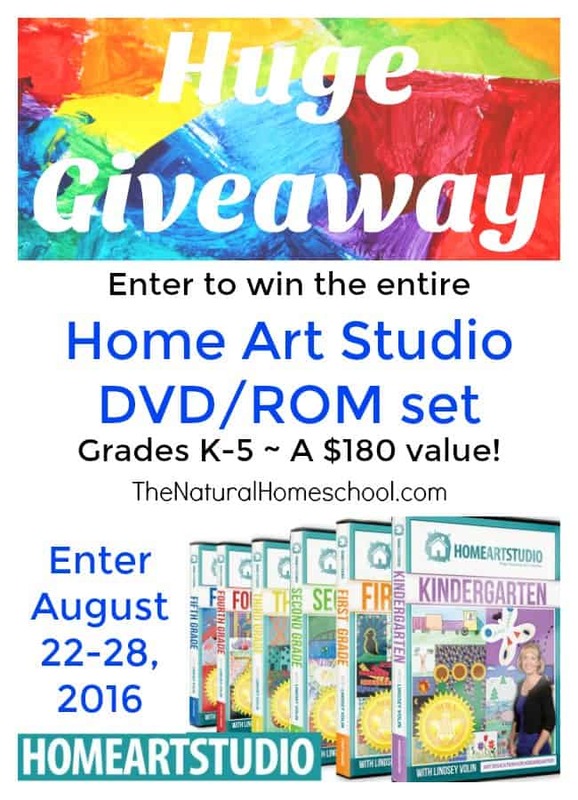 Entry into this giveaway will subscribe you to The Natural Homeschool email lists. You may unsubscribe at any time. My kids love Art and I have not been very successful in finding something that works for them. This looks like the perfect addition to our curriculum. I’d love to win this, as I know art is a huge part of a child’s education and it allows them to see and experience the world in ways they wouldn’t otherwise be able to. This would be so cool for my kids!!! What a great giveaway! This would be lots of fun for my crew! Thank you! My son has been spending a lot of time with drawing books and drawing. I know he would really like to branch out with new projects and skills for his art. 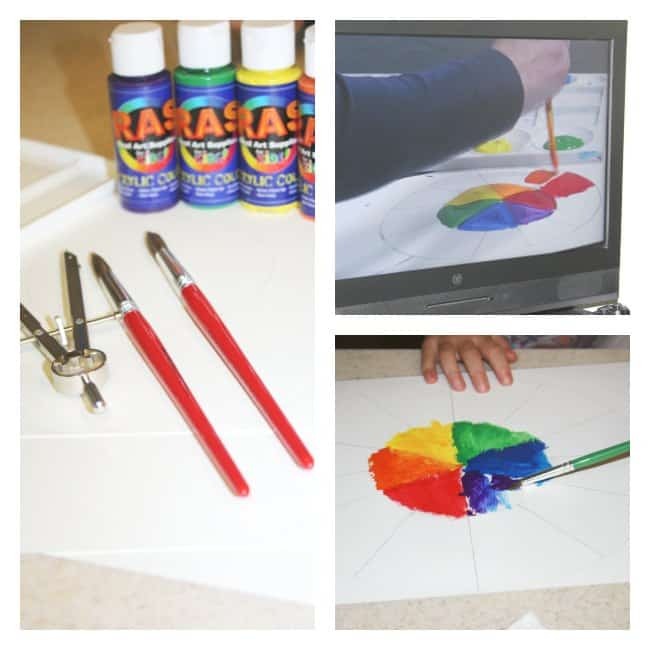 We have used one Home Art studio dvd in the past and really enjoyed it. It would be great to have the whole set! My little girl loves art and learning to use different art media for projects. My girls love art and took an art class last year that we can no longer afford. 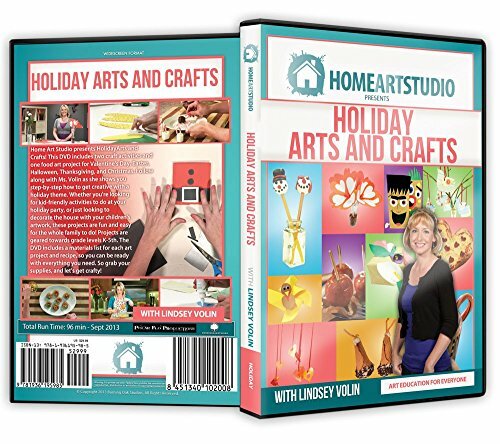 Home Art Studio has been on our wish list! We would love to win this bundle and continue in our love of learning about art! This looks like a great addition to our curriculum! We tried some of the kindergarten lessons, and my daughter has begged to do the other lessons and levels. My children would love this! They always want enjoy art and my oldest is so interested in drawing things right now. I have been wanting a great art curriculum for them, to nurture the interest, but can’t afford one right now. This looks excellent. I’d love to try this with my kids! My kids love art!! 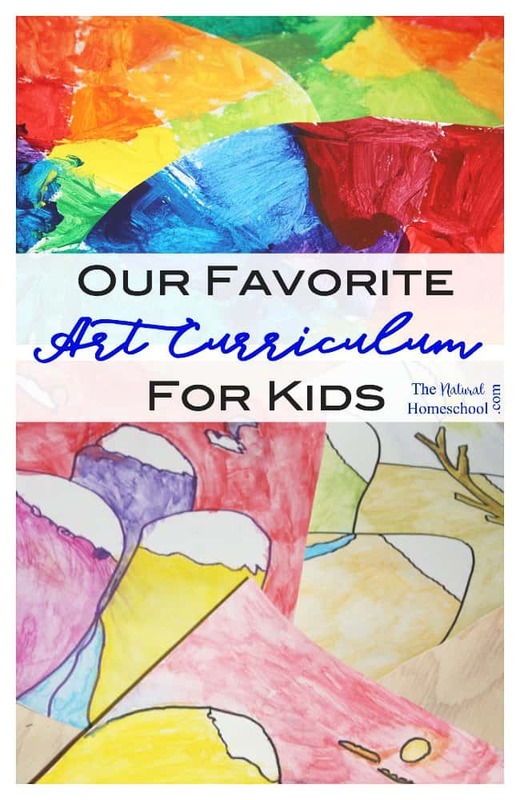 I have been looking for a good art curriculum for our first year of homeschool and this looks perfect. I would love to win this for my daughter. We are always looking for great art ideas! I would love to have some tools available to help out in teaching art during our school week. Awesome giveaway! My daughter is non stop drawing/coloring and I want her to explore more definition to the colors and different drawing technique. Thank you for this giveaway. I am not a arty person but my children are and I need help teaching them the concept of art. I’m also a volenteer in charge of teaching art concepts local children. I need all the help I can get. Thank you for offering this giveaway. 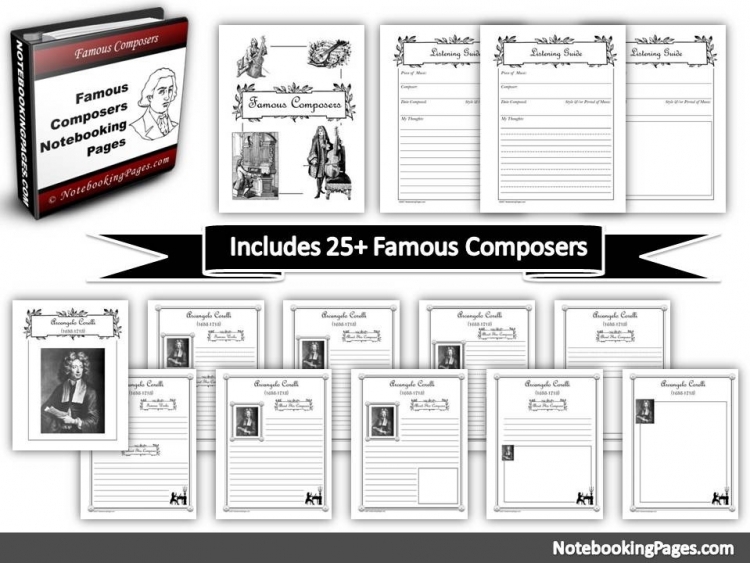 Since I saw this art curriculum I have wanted to use it in our homeschool. I am not an artist and I don’t know much about art. I am excited to learn right along with the kids. I would love to win this because my kids love art, but I am intimidated to teach it! My children love art, and I’m not the most creative one, so this would help me out and give them the fun and learning the deserve. My daughter loves art and this looks like an amazing art curriculum to learn from. 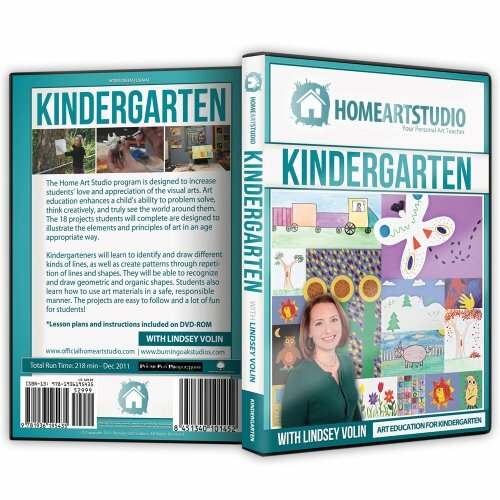 We have the Kindergarten DVD that I am using for this year but I am homeschooling a 3rd, 1st, PK and toddler this year. I hope to get more of these DVDs because they are AWESOME!!! I can tailor each project for each child!! Love that!!! My daughters LOVE art! We are always looking for new projects. I’m just beginning homeschooling, am super excited and will have a total of four kiddos eventually joining the learning and am really excited to incorporate art into our daily lessons!!! This would be awesome for my kids! We don’t really have structured art class but I would love to! Art is one of our favorite subjects and I’d love to try this for our home academy. This would be an amazing addition to our classroom. Would LOVE to win this kit for my 2 littles. We are JUST beginning the homeschooling process and this would be terrific to help us in starting out! Good luck everyone! This looks like just what my kids would enjoy! I have no art ability and everything is laid out for them! My daughter has been begging for an art curriculum! 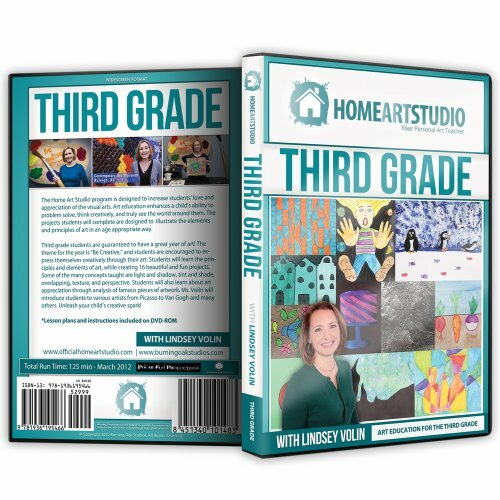 We have been looking for a nice art curriculum…and this is on DVD! Bonus!! I am going to start homeschooling my daughter and had no idea where to start. This blog is so helpful, and the art classes would be such fun! What an awesome giveaway!! We would love to win! My girls are so artistic and I really need some help in this area. I am not talented in the area of art. So this would be a wonderful resource for teaching my boys in area that is not one of my strengths. I would love to win this set because I need all the help I can get! The art curriculum set looks amazing and I would love to add it to our school year! I have a very artistic Kindergartner and he would LOVE this! My kids and I would absolutely LOVE to explore this curriculum. We love to be craftsy, but generally that is all we do, cut paste color and glue, because I am totally clueless as to teaching art. Thank you for the opportunity to expand our homeschool experience! I have been wanting to use these with my son. It looks like a perfect fit for my budding artist. I would be over the moon to win this! This would be great for our first year of homeschooling! My kids would love this! 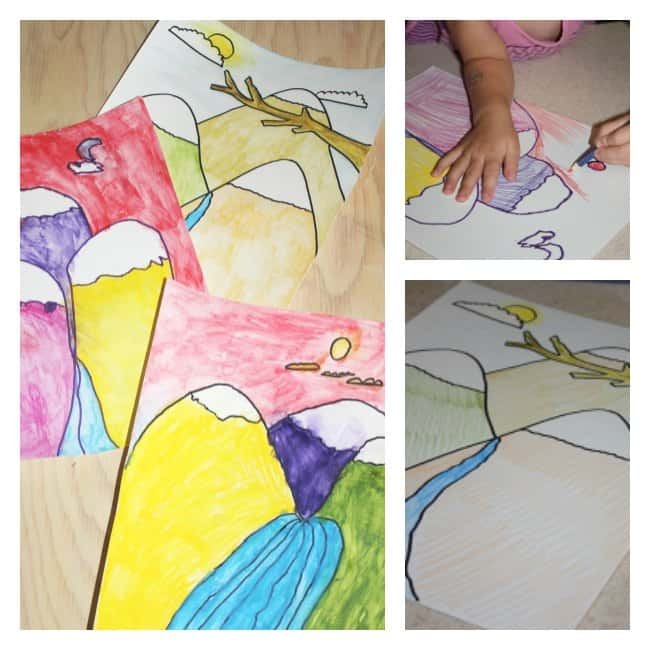 They love art and this would allow us to incorporate art into our homeschool with ease! I have quite a budding artist at my house. I’d love for her to refine and improve her skills! Always looking for great Art Curriculum that doesn’t require me to take DD to a class! We are starting our homeschool adventure this year and this would be a great addition to our kindergarten fun! Art is an area where I truly struggle. I am great with making things, crafting, but I could not put pencil to paper and make anything remotely appealing to save my life! My son could be a wealth of natural talent and I would never know. I don’t even know how to encourage art. This program looks like exactly what we need to set our art education going in the right direction! My four kids would love this curriculum! The colours, the hands-on things, they would adore it. This would be an awesome giveaway to win. I’ve been looking for a way to integrate art into our curriculum and this would be perfect. My son loves creating. I have been searching for an art curriculum for him and found this one this year. It would be amazing to have elementary school covered! This looks like so much fun, I think I would learn from it too! I’d love to win this set because I am NOT artistically gifted or inclined. My kids love coloring and drawing and painting and I want to find a way to teach them and let them explore art. This seems like a wonderful program! My son loves Art. I have been looking for something to add into our schooling to help him, because I am not gifted in that area. I have come across this one twice this week, Winning this would be a huge blessing for us! This looks so fun! We love art in our home and our new to homeschooling, so this would be a wonderful gift! The Home Art Studio art curriculum for kids would be a wonderful tool for my grandchildren. They both love to make things and to color and paint. This would would provide all kinds of new ideas for projects with them as they are being home schooled. This looks like such an awesome Art program and I’d love to use it for my homeschooled kiddos! This art program looks great. 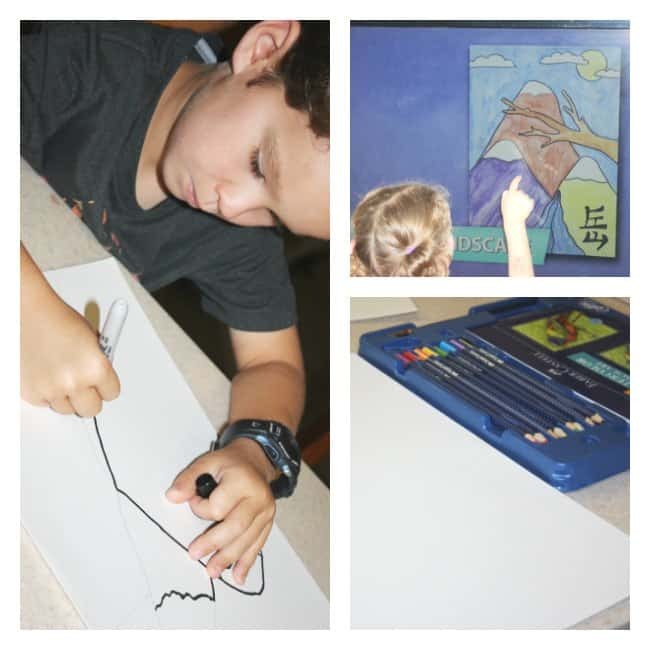 We love to incorporate art into our homeschool. When we budget for school there never seems to be anything left for art! I think my kids would love to add something besides drawing on scratch paper to their art experiences. This would be a great and fun way to teach my children art. I think the whole family would enjoy this set!!! My granddaughter Mercedes enjoys two hobbies in life … Reading and Art … She would be flabbergasted over this as would my other 9 grand-babies …Would be fantastic to have in my home for their visits which are often!! Thank you for the Giveaway!! My son loves art and we have been searching for a better curriculum for him. We love art! I think that it is very important for children to have a strong foundation in art! Great giveaway!! I haven’t figured out a plan for art yet, this would be great! My son loves art! We have an art easel and he will spend hours painting or drawing on the chalkboard. I would love to have this kit available to help out in teaching art to my kids. Awesome giveaway!